Everyone knows Gumtree. Gumtree is primarily a Classified Portal founded in the UK, AUS, NZ and SA. In 2005 it was bought by the global giant eBay. 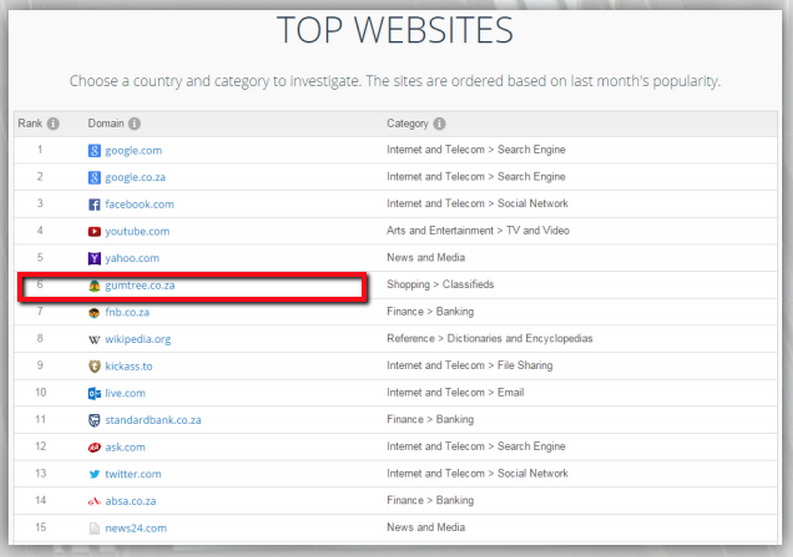 They are SA’s #1 Classified Site, the 6th biggest Website in SA. Their focus on a simple mobile interface and a easy to use App is paying dividends and their across the board popularity is increasing. Their App is the 11th most downloaded App in Android free Apps.